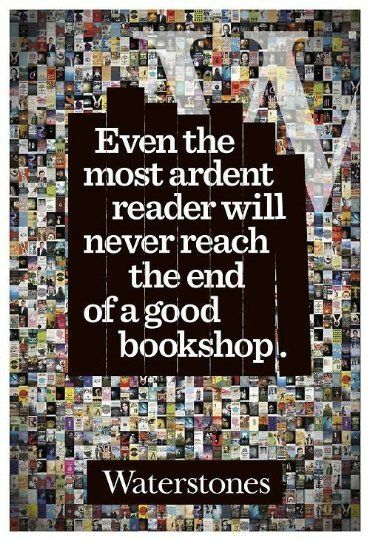 I hope that it's been a pleasurable reading week for all. Michele, I hope that everyone feels better very soon. Julia, happy to hear that your daughter is in Melbourne and hopefully liking it there. Kathleen, it was your birthday yesterday and I hope that you had a lovely day! 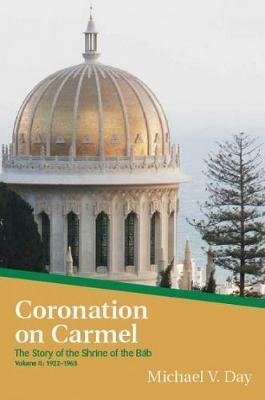 I read Coronation on Carmel - 4 Stars - This book will only be of interest to Baha’is. It’s the second in a series of three, about the establishment of one of the shrines in Haifa, Israel. The shrine and the gardens surrounding it, which I’ve had the bounty of visiting a few times, are a UNESCO World Heritage site. I would give it 5 stars, but all the lengthy endnotes are seriously annoying. Regardless, these books are thoroughly researched and beautifully written. “Edward Keith-Roach, the former District Commissioner in Haifa and then Governor of Jerusalem, described the Mufti as ‘alert, shrewd and crafty’, one who played on religion ‘to the nth degree’. Eventually, after the re-formation of Israel the mufti's nephew, Rahman Abdul Rauf al-Qudwa al-Husseini, took over leadership of the region's Muslims. He renamed himself Yasser Arafat. I did not know that the decision of the Allied troops to land in Normandy took place in Tehran, Iran. In November 1943, Churchill, Roosevelt, and Stalin all met in Tehran, before the D-Day landings of June 6, 1944. I read My Sister is a Serial Killer by Oyinkan Braithwaite. I don't really know how to classify this book or what to say about it. I have heard people say that it is a lighthearted look at a woman whose sister is... you guessed it...a serial killer. I have also heard others regard it as funny. I didn't find it that way at all. I found it a very sad book. I really liked it but I was very sad for the main character when I finished. I am currently reading French Exit by Patrick DeWitt. It has been on the long list for the Giller Prize and I think the Mann Booker Prize. I have not read DeWitt before but, so far I am liking this story of a rich mother and son who lose their money. I am also buddy reading with a group of fellow bookstagrammers Willa Cather's Death Comes for the Archbishop. So far, I am liking this one as well. Michele, hugs & hope everyone is feeling better soon. I am currently reading French Exit by Patrick DeWitt. It has been on the long list for the Giller Prize and I think the Mann Booker Prize. I have not read DeWitt before but, so far I am liking this story of a rich mother and son who lose their money. Julia, I think I had a similar reaction to My Sister is a Serial Killer. I just didn't find the humor there. I think it would be an interesting one for a book club w/ some discussions of a female being a serial killer (since it's usually males who are serial killers), her blasé attitude, dysfunctional families, responsibility, etc. I read Patrick deWitt's The Sisters Brothers a few years ago & really liked it. Kind of a noir Western. I am reading Life Inside the Bubble by Dan Bongino. It is a non-fiction account of his work as a New York policeman and later a Secret Service agent. It's not great, but it has its interesting moments. If you are curious about the Secret Service or wonder what that life would be like, this would interest you. It is not a tell-all gossip book about the protectees he served. He tells some anecdotes, but thus far it does not seem that the goal is to dish dirt on presidents or their families. He does give some insider's views on things he thinks are dysfunctional in government agencies. I am reading the most wonderful book - I just love when that happens! I've read some good ones already this year, but Pachinko stands out. It's a multi-generational family saga of a Korean family from about 1910 to the 1980s, I think. Truly amazing. Told in a very linear, simple fashion, but beautifully written and full of so much I didn't know about Japanese occupation of Korea (before North and South Korea), Koreans in Japan before WWII, and the aftermath of that - which is where I am now in the book. So many complex relationships - men and women, siblings, parents and children, employers and workers, Koreans and Japanese, urban and rural, rich and poor, etc. I'm going to be sad when this one is over! I already feel like I personally know each character, they've become so real to me. Stacia, I am thinking of choosing My Sister for book club when it is my turn to pick the book. There is a lot to discuss with that book. Rebe, I'm glad that you are loving Pachinko. It has been on my TBR pile for a long, long time but I keep sliding it down to the bottom. After reading how much you like it I will put it at the top now. Pachinko is already on my wish list! I want to reply to everyone, but have had such little time to do so. I love hearing what everyone else is reading.